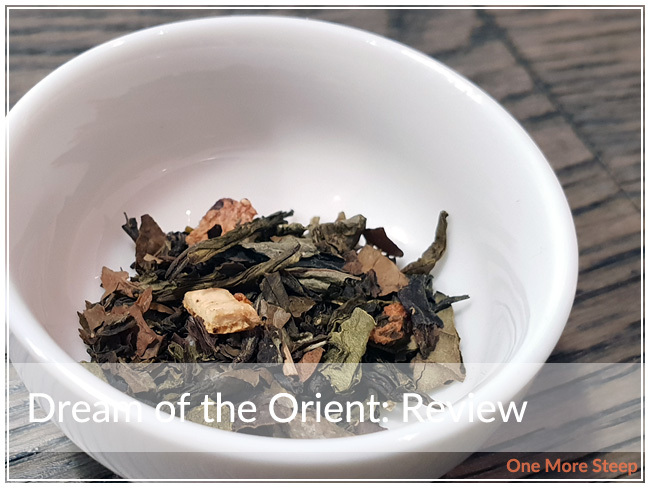 Chai Castle has provided me with Dream of the Orient for the purposes of providing an honest review. Dream of the Orient was a sample pick from Chai Castle that I was really excited about. 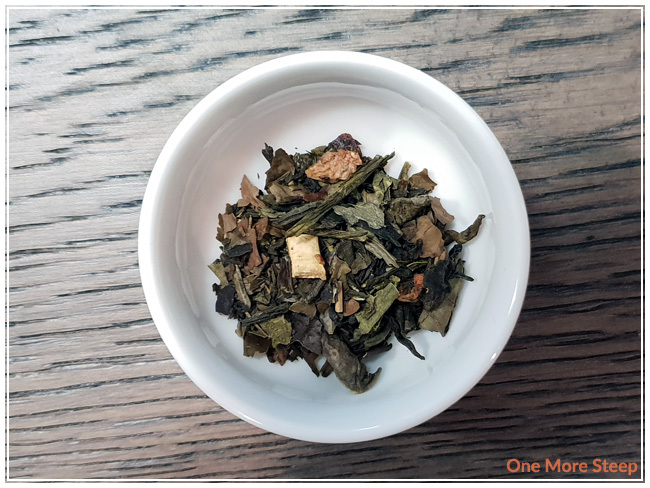 This white tea and green tea blend smells delightful – there’s a light fruity aroma and I can smell the mango and jasmine. I find the mango is the most prominent aroma with the jasmine in the background. 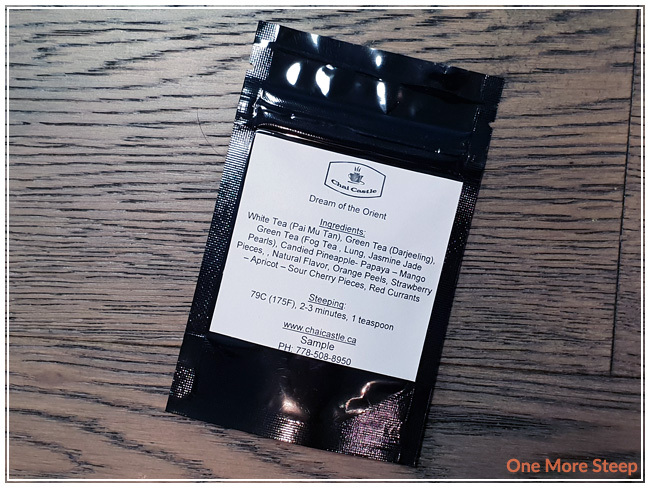 Dream of the Orient consists of: white tea (pai mu tan), green tea (darjeeling), green tea (fog tea, lung, jasmine jade pearls), candied pineapple, papaya, mango pieces, natural flavour, orange peels, strawberry, apricot, sour cherry pieces, and red currants. So many fruits! Chai Castle recommends steeping Dream of the Orient in 79°C (175°F) water for 2 to 3 minutes. I did an initial steep for 3 minutes. Dream of the Orient steeps to a very pale yellow after a three minute steep. The aroma is mostly fruity with a hint of floral notes in the background – that jasmine is quite strong to stand against all those fruit ingredients! The flavour of mango is quite strong, there’s some vegetal notes in the background, with the floral/jasmine notes lingering on the tongue. 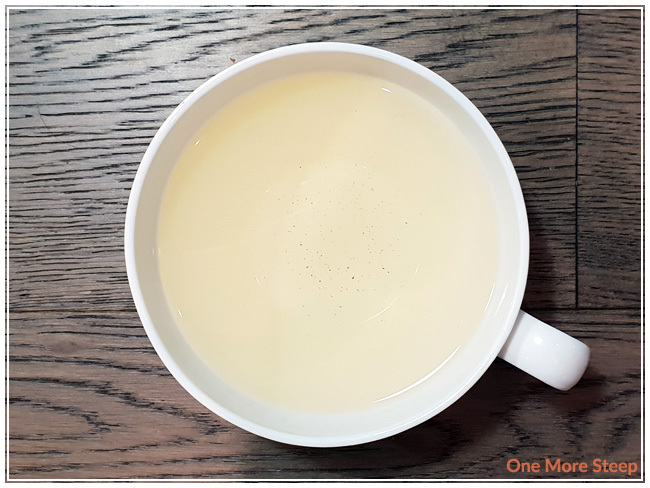 It makes for a nice flavour – the ingredients play nicely with the tea base. I resteeped Dream of the Orient twice, adding an extra 30 seconds per steep. The flavour remains quite well balanced with each steep. I found the fruit flavours (mango, apricot, pineapple) to be more pronounced with each steep and held up well with each steep. I liked Chai Castle’s Dream of the Orient. I loved the mango flavour, and found that it worked really well with the jasmine and the green tea base. I would have liked for the other fruit flavours to come out a bit more – perhaps they just need to be more present to add in more sour cherry, red currants, and papaya. 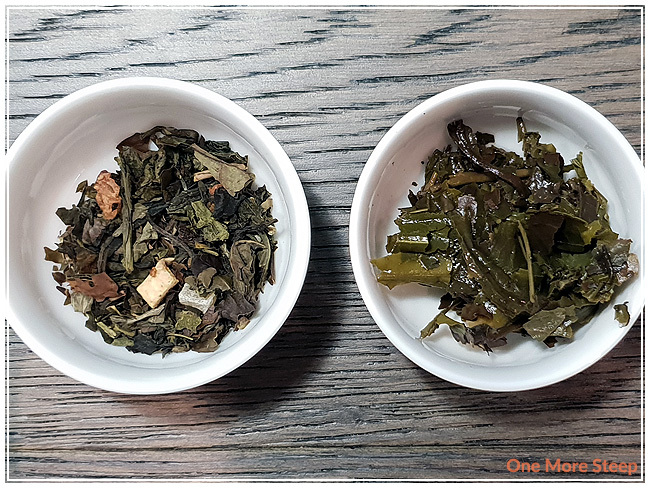 Dream of the Orient does resteep well, the green tea and white tea base makes for a delicious tea. I think with the fruity base, this tea would be good iced as well or cold steeped.